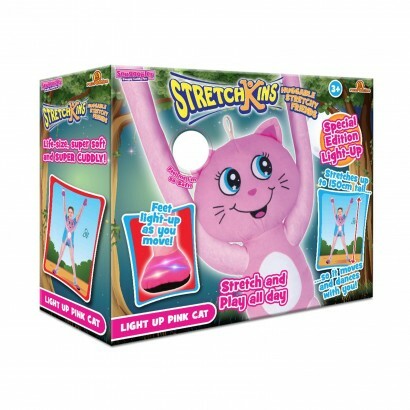 A long limbed cuddly friend for snuggles and more, the Stretchkins Pink Cat encourages your child to dance, move and play all while giving the best hugs! Stretchkins have an elasticated loop on each paw allowing them to fit on your child's hands and feet so that when they move, Stretchkins moves too! 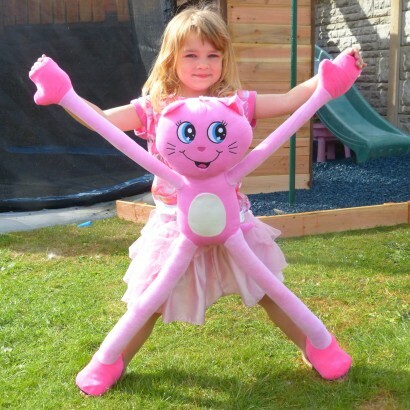 Designed to encourage movement, this super soft cat is a special edition with LEDs in her feet that light up as you move making dancing even more fun! Life-size; stretches up to 150cm tall! I bought this product and when we got it, it was amazing! 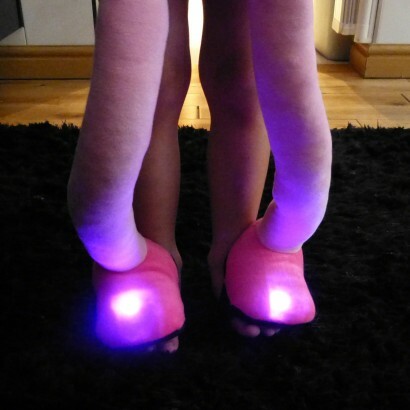 Both its feet have a button you press and it lights up, it automatically turns itself off after 5 minutes too! Amazing I'm so glad I bought it!